In the coming 2-3, most of the customer businesses queries will be done through messenger technology. A huge part of these conversations will take place on messaging apps and software's they'll provide a better alternative to customer care solutions and will also solve them quickly through automatic chat-bots. It will also help in driving valuable sales for the business by making the customer queries resolving in a much better way. At present, there are more than 1.5 billion Facebook Messenger users. Platforms like Facebook Messenger are a new trend in social media as they play a key role in reaching to the potential customers through ads. As per recent surveys reports, the open rate of emails is around 6-10% whereas click-through rates for them are around 0.5-1.5%. Whereas in Facebook Messenger the open rate is around 90% and click through rates even are more than 35% which way better than emails. People communicate and engage more through messenger apps and they are more likely to open up the message when it comes to them. It's good for businesses as it leads to much better conversations leading to better lead generation prospects. In the emails, there is a lot of confusion as your mailbox is filled with dozens of unread emails. You have to sort and check the emails which very time-consuming. Secondly, there is a huge threat of spams and viruses in emails. Whereas in messenger apps it is very easy to navigate and go through the messages as the messages there are very short and crisp which saves a lot of time as emails are very long to read. Another big benefit of messenger marketing is that it is very much personal and more interactive as compared to TV, radio and other communication channels. With the automated chat-bots, the messages can be customized very easily as per the current communication. You any time put your query to the company the automatic chat-bots will give you an instant reply to solve your queries faster. There have been subsequent growth in the use of messenger apps Facebook messenger is a very common app used in North America and Europe. While WhatsApp has also become a major marketing messenger tool to reach your potential customers. There more than 50 billion+ messages sent through WhatsApp each and every day. Currently, there are a lot of loopholes in SMS marketing also, they are much more expensive as compared to other forms of marketing. Where you can't even insert images, videos, gifs, and call to actions leading to a very poor conversion rate. Whereas Messenger app has visuals, videos and proper call to actions which have a key impact in affecting buying decisions. Lacking all these elements SMS marketing doesn't impact buying decisions much. 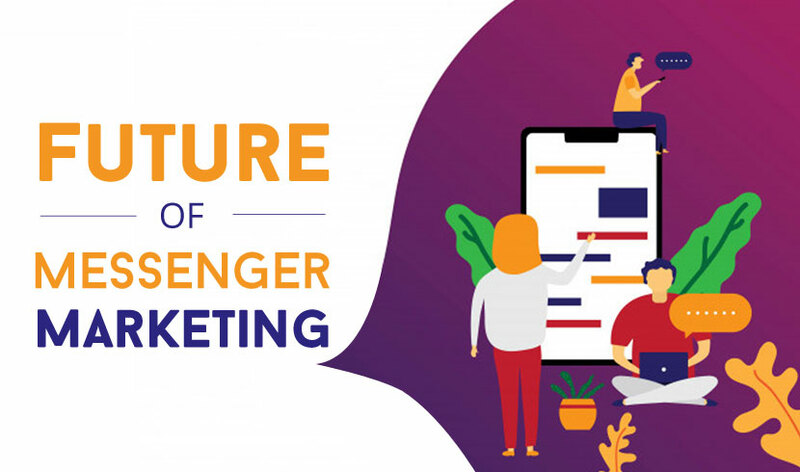 Looking at the current scenario of messenger marketing there will be enormous opportunities for the start-ups and small businesses to take advantage of Facebook Messenger Marketing. Currently, there are more than 100,000 chat-bots available on messenger platforms. This of technology is more simple and user-friendly. The organization will be able to use it very effectively and it is very much estimated that messenger chat-bots will dominate in the market by 2021. With the integration of Artificial Intelligence (AI) in this area, it will big boost to small and local area start-ups. With the technology growing smartly there is a huge demand for messenger apps and businesses are already investing a huge amount so as to boost their businesses. Many companies have already mastered Facebook messenger marketing and are generating a huge ROI from it as it is an easiest and reliable mode of communication as compared to other mode communication like e-mail and SMS. The invention of messenger Apps is a new form of Automation marketing that will be prevalent for ages.